Here’s our round up of March! 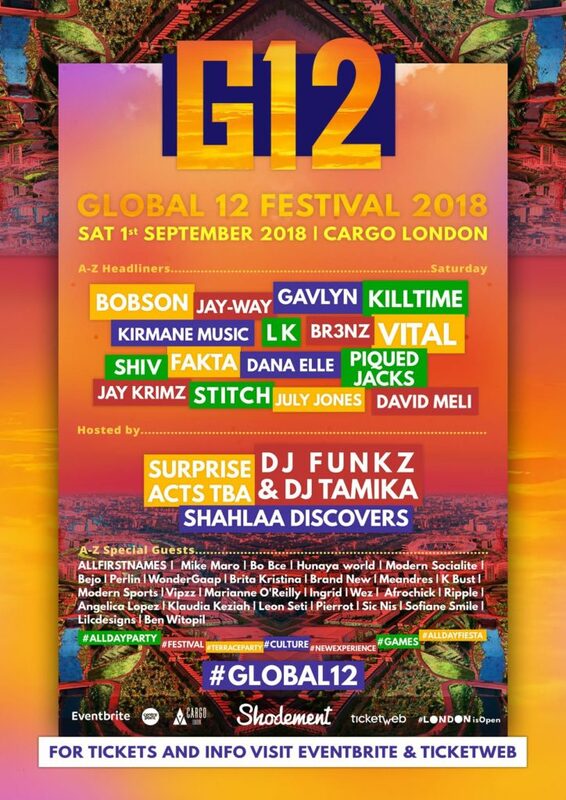 With Global 12 Festival approaching fast we have been busy speaking to some of the artists making an appearance on September 1st at Cargo London! You can listen to the latest interviews from Jay Way about meeting Kendrick Lamar, his adventures in Amsterdam, the latest deal which he has secured with Puma and of course music! Br3nz had a lot to say about his latest collaboration with Jay Krimzz, the UK music scene and Tory Lanez’s album. You can listen to all these podcasts and many more from our Global 12 Artists here! Last but not least, we hope everyone has had the best Easter Weekend! International Line Up: Bobson (Lagos), Jay-Way (Amsterdam), Gavlyn (New York), Killtime (Barcellona), Shiv (California), Piqued Jacks (Milan) and more. UK Line Up: David Meli, LK, Br3nz, July Jones, Fakta, Jay Krimz, Kirmane Music, Dana Elle, Stitch, Vital and more.